Want in on this action? 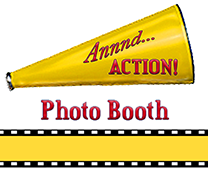 Be sure to check out our website then CALL US at (818) 900-5480 or EMAIL AnnndActionPhoto@gmail.com for a quote. Please ask about our ‘Neighbor’ and ‘Non-Profit’ rates. As of April 1, 2019 we’ve got lots of dates open parties, spring weddings, Quinceaneras, birthdays or corporate events. Call or drop an email today to lock in your date and pricing. Not sure yet? We understand. Shop around, then be sure to visit us again at least two-to-three weeks prior to your big day for your best shot at us being available for you. We serve: San Fernando Valley, Los Angeles, Valencia, Sylmar, Topanga, Newhall, Simi Valley, Moorpark, Thousand Oaks, Camarillo, Valley Village, Sun Valley, West Hills, Agoura Hills, Santa Monica, Culver City, Beverly Hills, Eagle Rock, Hollywood, Agua Dulce, Canyon Country, Shadow Hills, Tarzana, Encino, Porter Ranch… Malibu, North Hollywood, Granada Hills, Woodland Hills, Reseda, Northridge, Van Nuys, Chatsworth, Calabasas, Northridge, Studio City, Sherman Oaks, Glendale, Burbank, Santa Clarita, LaCanada-Flintridge, Pasadena, South Pasadena, Castaic… and your community too!